With so much of our time focused on technology these days, I love getting good old-fashioned paper mail. And when the majority of our mail is comprised of bills, bank statements and medical appointment reminders, it is exciting to find a brightly coloured, fun looking envelope sticking out of the pile! 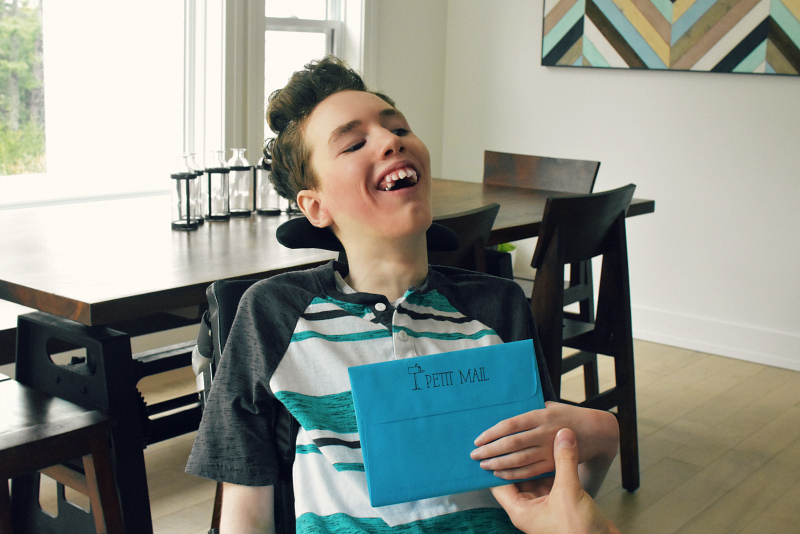 We recently discovered Petit Mail - a kids story postcard subscription created and written right here in Newfoundland by local mom and entrepreneur, Alison Butler. Alison created Petit Mail with her own kids in mind, after noticing how her young daughter loved going with her to their community mailbox. She wanted to give her the excitement of finding a piece of mail with her own name written on it. Learn more about Alison and the story behind Petit Mail story postcards here. 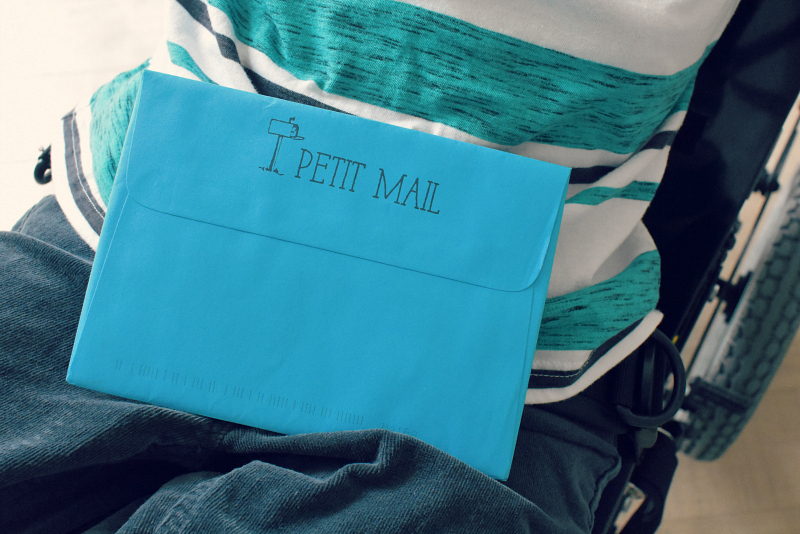 Petit Mail is a fun way to introduce a new generation to the joy of snail mail. Every month, your Petit Mail story postcard arrives in your mailbox in a bright, colourful envelope, addressed by hand with your child’s first name. Brennen was pretty excited to receive his! Each Petit Mail story postcard has a different theme, such as: art, writing, science, engineering, nature, reading, and imaginative play, all at an age-appropriate level. We were excited to receive several themes to try this month! Brennen and I enjoy making art, so I was thrilled to find 'Oliver Explores Art' in his envelope. 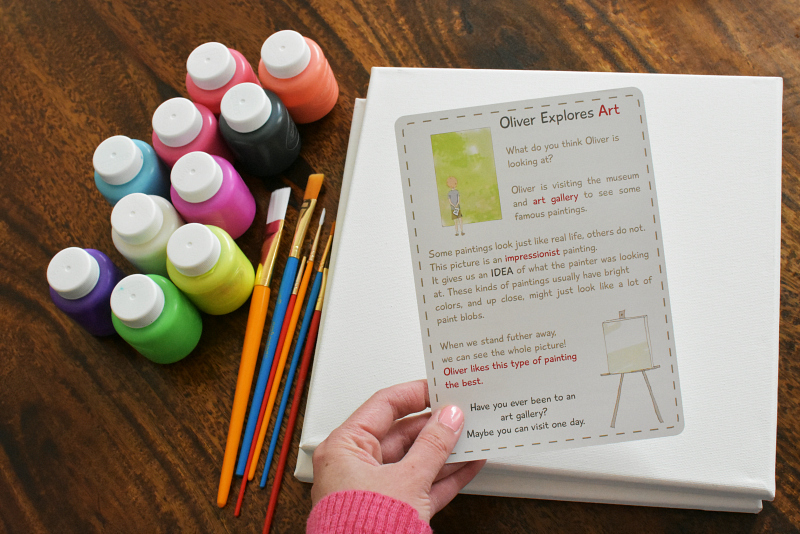 We read the postcard, then used the tips on the back to dive right in and make some art together! 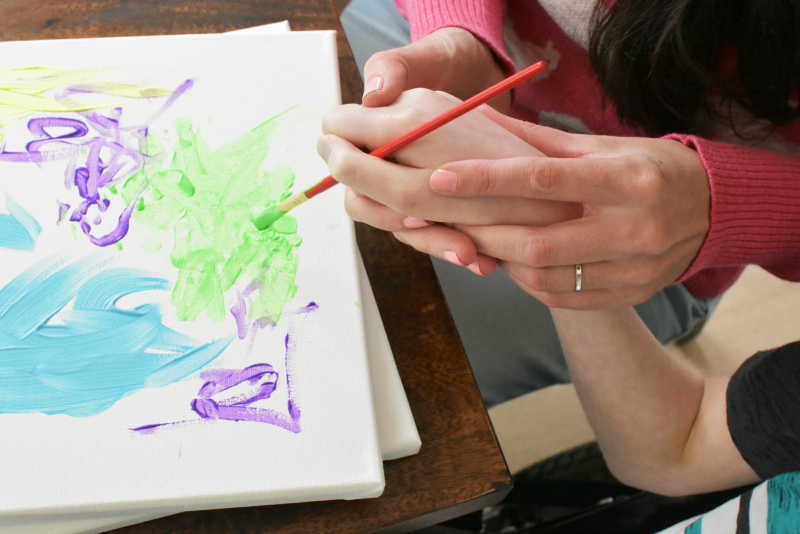 All kids love to use their imaginations and create something new with their own hands. 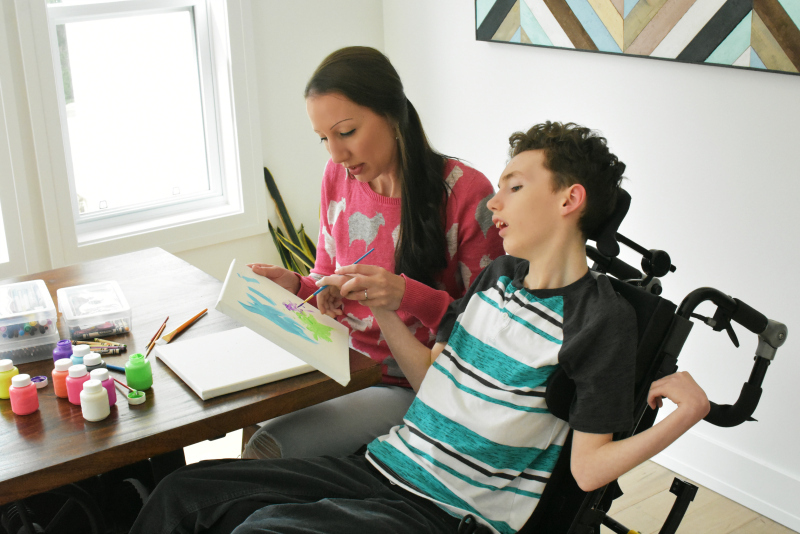 Some kids, like Brennen, need extra help to do so but it is just as important for him to be creative as it is for anyone else. 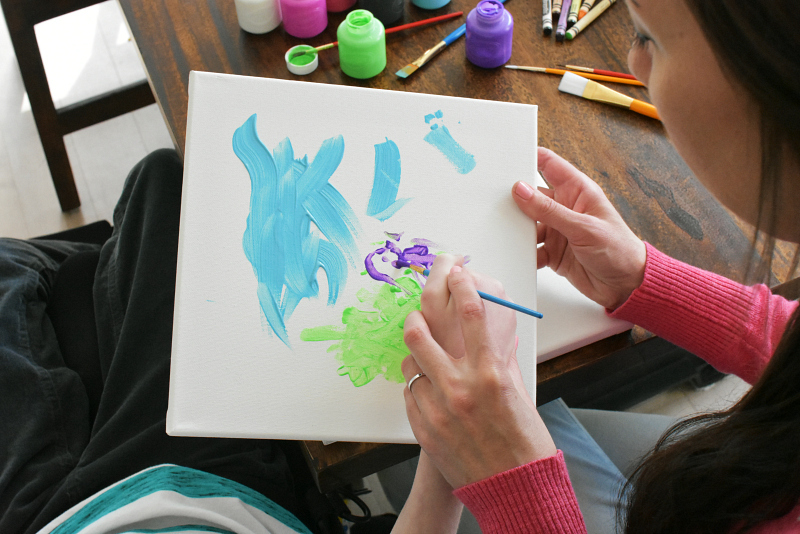 Art fosters sensory perception, offers children a chance to experiment, create and build. It strengthens their ability to think and make decisions, and helps children make sense of the world around them. And art is fun! 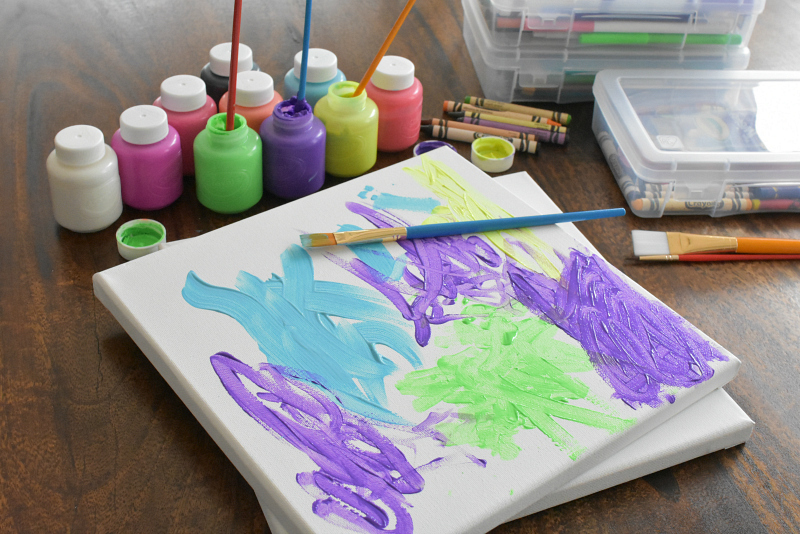 Children have a natural tendency to create, and as always, with children’s art activities (certainly at our house) it is more about the process than the final product. 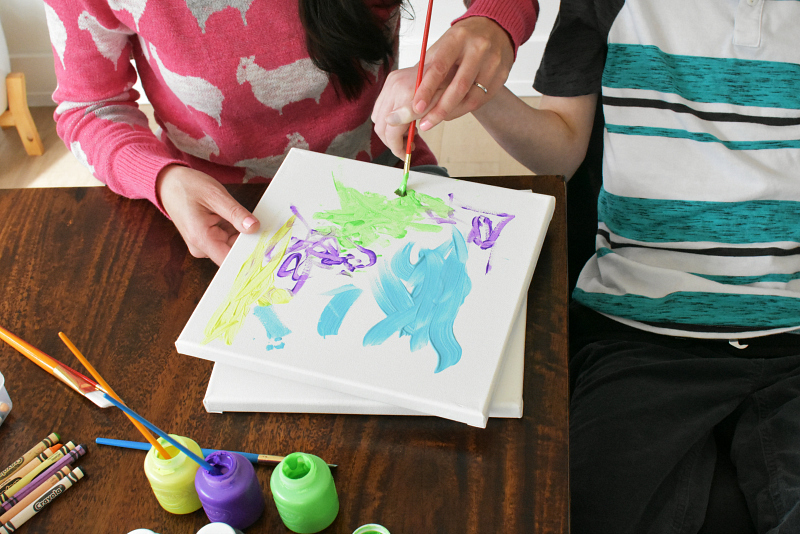 I love that Petit Mail encourages a parent and child to spend quality time together, and offers you suggestions of new and unique ways to spend that time with your child. As a Mom, I always harbor a bit of guilt, thinking I could be doing more. There is always too much to do and not enough time to do it, and the reality of life with jobs and families and infinite responsibilities is that we must prioritize and make time for what is most important. For me, that is my children. Spending precious time with Brennen is at the top of my list. It can be tough at times to connect and engage with him, but I will continue to make efforts to find ways to nurture our relationship, because it is the most valuable part of my life. Thanks to Alison at Petit Mail for creating such a high quality subscription service that offers so much in one little envelope. 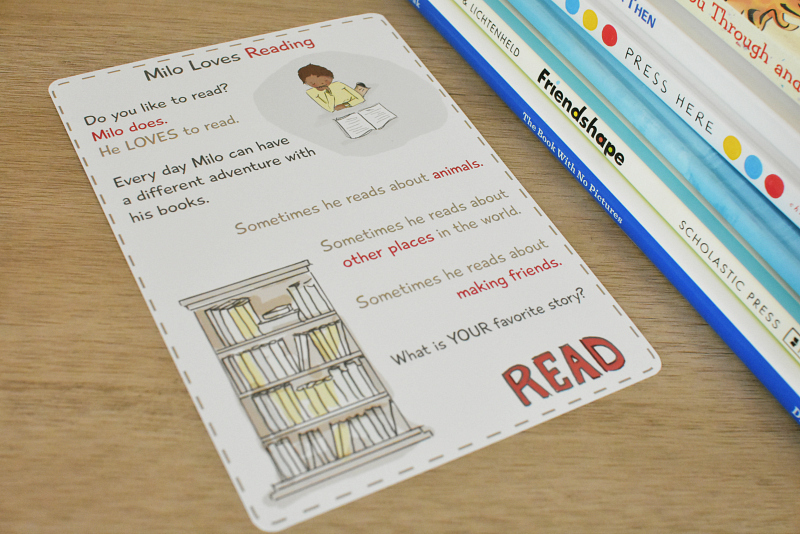 Our next story postcard is 'Milo Loves Reading'. We love reading together, and we love to visit our local library, so this one should be fun!! 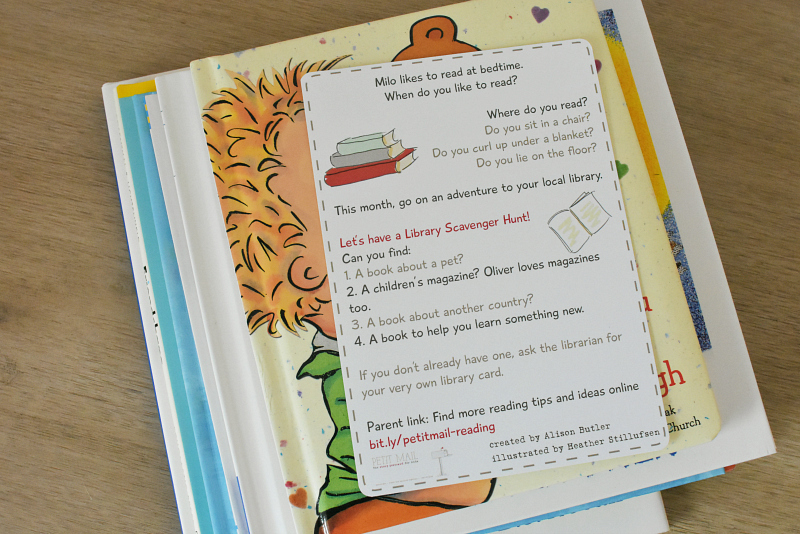 Alison has also recently created a Preschool Kids Reading Club on Facebook where parents can share book ideas and recommendations specifically for preschoolers and early readers. Learn more about that HERE!